Shantelle Courvoisier Jackson is a movement and performance artist originally from Cleveland, Ohio. She was a 2016 Movement Research Van Lier Fellow, illuminated by mentors Sidra Bell, Daria Faïn, Jaamil Olawale Kosoko and the Unseen Hand. 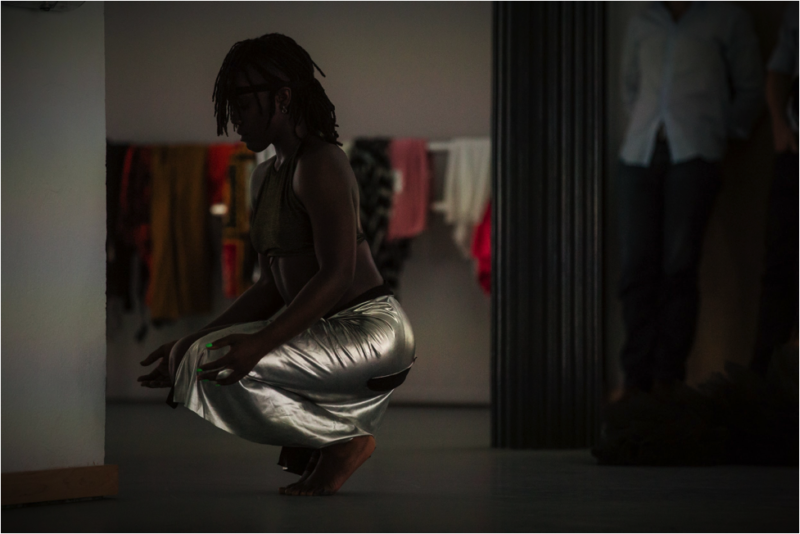 Shantelle has worked with artists Mia Habib, Antonio Ramos, Daria Faïn, Robert Kocik and The Commons Choir, Deeply Rooted Dance Theater, Paloma McGregor, and Urban Bush Women. Her works have been presented at Light Lab, The Space Upstairs, Dixon Place, Cleveland Museum of Art, New Hazlett Theater, BRIC, Movement Research at the Judson Church, Jack, Bronx Academy of Arts and Dance and The Carnegie Museum.